Weir River Farm and Turkey Hill in Hingham, MA was the perfect way to spend our Saturday afternoon. The farm extends over a 75-acre reservation, with the much expected rolling pastures and green fields. Yet the area is also surrounded by woodlands. Although the barnyard and animals are only available seasonally, the farm trails are open year-round from sunrise to sunset. There is a 1.5 mile loop trail of easy hiking along dirt paths. Turkey Hill is adjacent to Whitney and Thayer Woods which is also connected to the Wompatuck State Park. The reservation offers tons of beautiful sites. At the top of Turkey Hill you can see views of the Boston skyline. We especially love the wooded areas of the trail. Along with walking, there are many paths for bike riders as well. Once the warmer seasons turn the corner, there is no doubt we will be back again to visit the animals. Although Christmas is around the corner, the holiday season doesn't officially end until the first day of our New Years Resolutions. 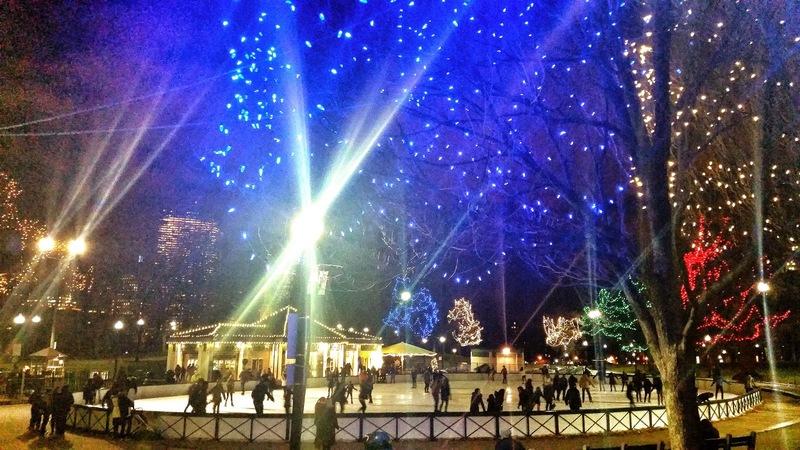 So there's still time to check off number four on the Holiday Bucket List- Outdoor Ice Skating! December is the best time of year to dust off the skates that have been sitting in the back of your closet and get outside on the ice. We typically skate outdoors on frozen ponds, but it's a bit early in the year for the ponds to freeze up near the Boston area. Luckily, there are plenty of outdoor rinks scattered around the Northeast and beyond. Many of which are decorated with colorful lights making this a perfect evening activity for your holiday season. 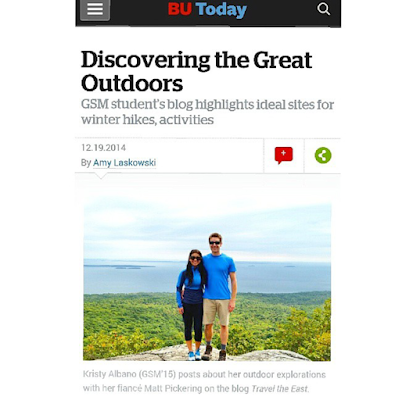 We had the awesomeopportunity of partnering up with Boston University in our recent interview appearing on BU Today- Discovering The Great Outdoors! As a student in the Graduate School of Management's Professional Evening MBA program, I couldn't be more honored for the feature and continued support from an amazing community of leaders, innovators and all-in-all great people! Thanks BU, I'm proud to be a Terrier! Clickhere to check out our article on BU Today! We love uncovering new parks and trails! 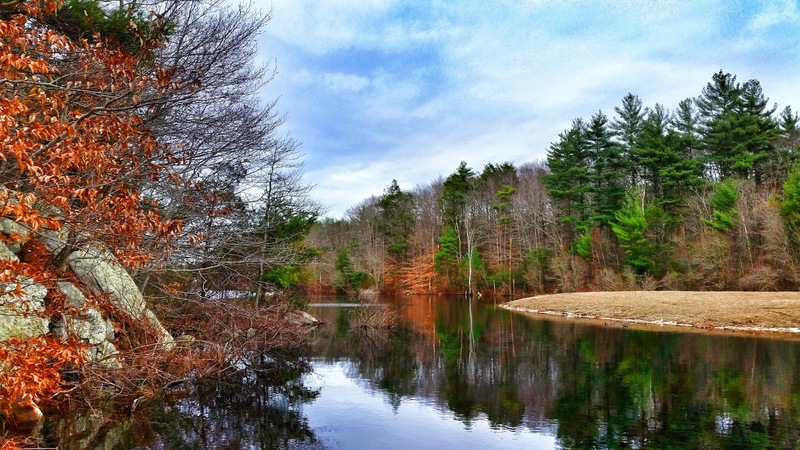 Especially ones right outside of Boston, making it easy for those of you living your busy city lives to find time to escape and enjoy some fresh air and the outdoors. This past weekend we explored Wompatuck Park which is primarily located in Hingham, MA but crosses over into Cohasset, Norwell and Scituate. 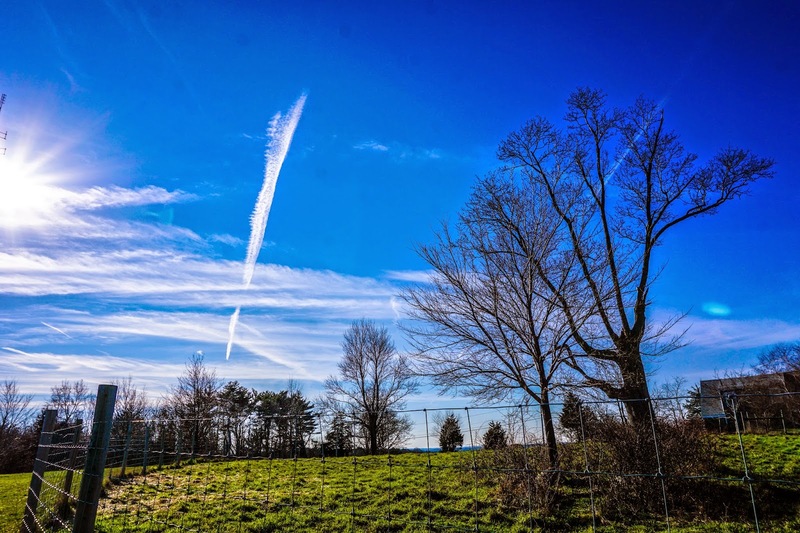 As you can imagine, this park is huge with 3,500 acres of recreational area. Wompatuck is a popular spot for campers with over 260 wooded campsites (including half with electricity). There are also certain areas that are accessible for hunting, but definitely check out the park regulations beforehand. December is probably not the best month to hike a mountain. 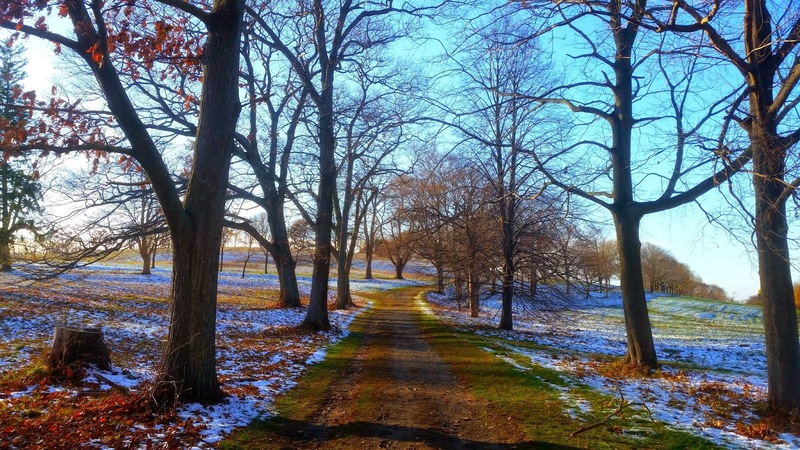 However there are still plenty of other options to get outdoors, which brings us to number two on our Holiday Bucket List- enjoy a winter trail hike this holiday season! All you really need to do is bundle up, get on some weather proof boots and find a park near you. We recently visited World's End State Park in Hingham, whose name may seem a bit daunting yet is far from the contrary. World's End is a beautiful park with a mix of different landscapes from rocky coastlines to pockets of woodlands and tree-lined paths. Keep in mind, there is a $6 admission fee for nonmembers. But if you find yourself making frequent visits to parks throughout Massachusetts, you may want to consider becoming a Trustees Member. With the holiday season upon us, we wanted to share some fun ideas to add to your Holiday Bucket Lists this year. And what better way to kick-off this festive edition than getting a Christmas Tree! 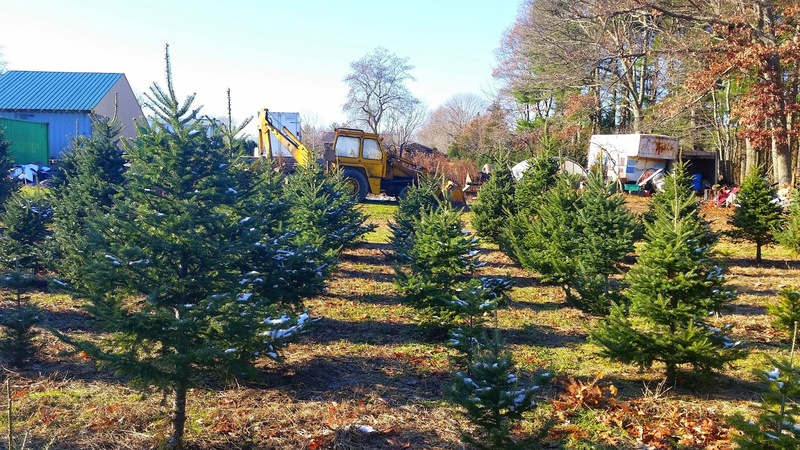 There are a ton of unique and fun traditions out there when it comes to getting a Christmas Tree. With this being our first Christmas in our new home, we wanted to start a tradition together as well. For us, cutting down our own tree seemed to be the obvious choice. So the weekend following Thanksgiving, we did just that.